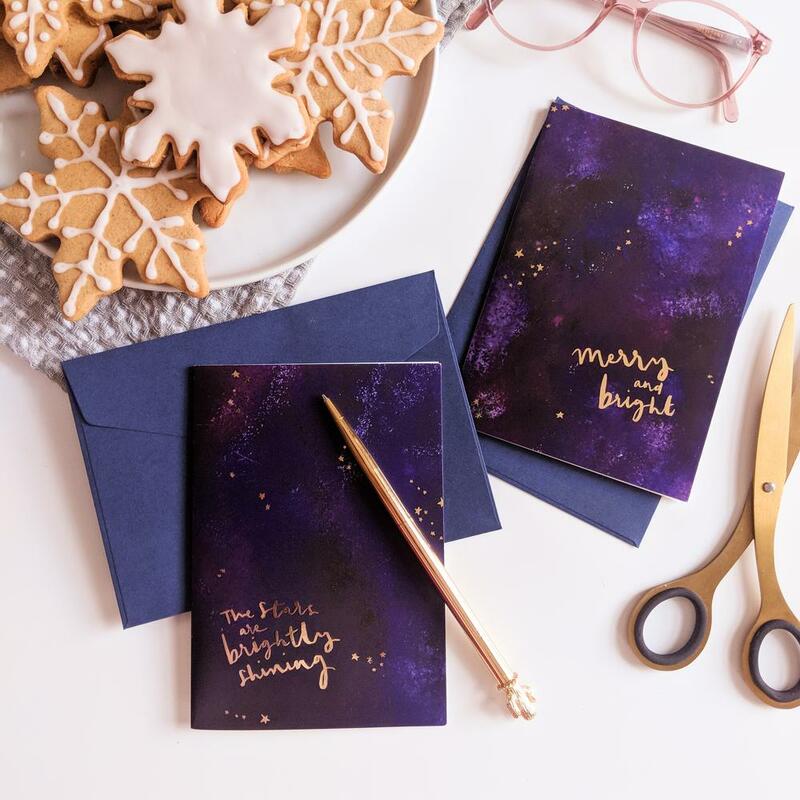 A few weeks ago I shared a shop small guide to Christmas cards - well this week is ‘my wishlist’! These are the things that I would love to get for Christmas and I think you guys will love them to and they might be inspiring as you work out what to get for friends and loved ones. I thought I would share a bit about each one - but please check out all the small businesses that I have linked below because they really are lovely and these are not the only products that they sell. 1. Sleepy Doe - Mumma Collar PJ set - I already have a set of sleepy doe pyjamas and they are seriously so comfortable. Right now my nights are spent breastfeeding so I really want a comfortable and warm set of pyjamas that button down the front for easy access. These tick ALL the boxes. They also do gorgeous kids pyjamas. 2. The Botanical Candle Co - Soy Wax Melt gift box - I have been in love with this company ever since I discovered them on instagram and bought one of their gift boxes for my sister in law. Their candles are gorgeous, their packaging is beautiful and I just love their aesthetic - everything they sell is stunning. I love the simplicity of soy wax melts and think this would be a beautiful and relaxing addition to my bedside table. 3. Claire Hill Designs - Feather Gold Charm Necklace - I am a big fan of simple gold jewellery and have been a fan of Claire Hill’s designs for a little while. I love this leaf necklace and she also has a beautiful acorn one, and I think it would look great layered with some longer gold necklaces. 4. Tilly and the Buttons - Stevie Dress Pattern - I have been wanting to try and make my own clothes for a little while but my sewing abilities are not that great, but I think this pattern from Tilly and the Buttons could be a good place to start. I love this style of dress and it is supposed to be a good pattern for beginners. All I will need to do is find the time - ha! 5. 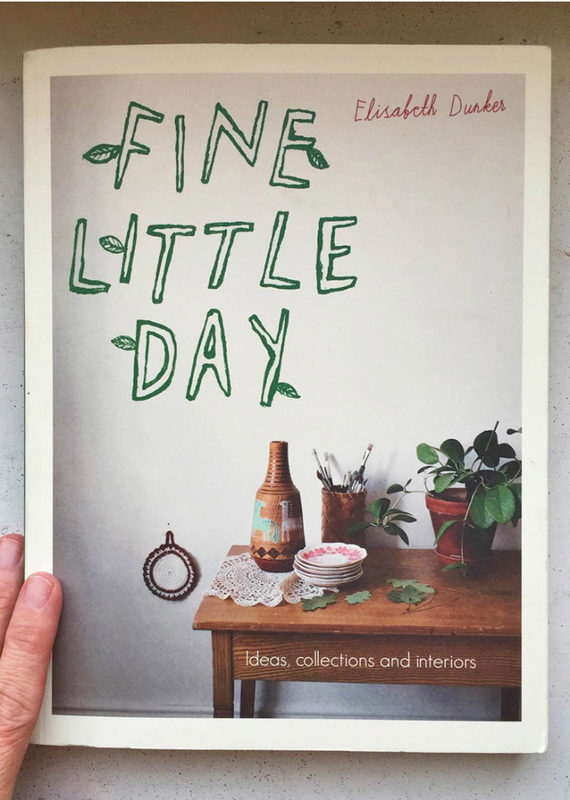 Fine Little Day - Book - Fine Little Day create such inspiring designs and products and I saw this book in a shop a few months ago and it just looked so inspiring, and full of creativity and ideas for living a creative life. 6. Young Gums - Beth Bently - I am constantly getting stuck in ruts with what meals I feed my toddler, and next year I will start weaning my daughter so thought a new kids cook book to give me some inspiration would definitely help. This one looks great and I have heard people rave about it. 7. Libby Ballard - Ceramic Travel Mug - I am not a coffee or tea drinker so haven’t got myself a reusable travel mug but my chai latte and hot chocolate intake has gone up recently so I thought it was time to stop getting throw away cups in cafes. This ceramic travel mug is gorgeous and comes with a fabric band to hold onto. Super stylish and I just love beautiful ceramic mugs. 8. Lines and Current - Mona Ring - My love for gold jewellery continues with this simple but stylish ring from Lines and Current. They have so many beautiful products but I really love all of their jewellery. This one has been on my wish list ever since I saw it. Another thing to mention is that this week is Just a Card’s Indie Week and loads of small businesses have been posting on instagram and sharing about what they make and so if you check out the hashtags #indieweek and #justacard and you will find so much inspiration and lots of ideas for great gifts. Just a Card do such an incredible job of supporting and championing small businesses and you can find out more about their reason for existing and how you can get involved here. Since moving to Cardiff I have been loving getting to know other small businesses in the area, and meeting up with them and hearing about what they are up to has been so inspiring and encouraging. Today I am so excited that I am collaborating with two of the businesses that I got to know recently and I am running an awesome giveaway on my Instagram account of their gorgeous products. If you head over to my Instagram you can find out how to enter but I wanted to go into a bit more detail here about what products are up for grabs and what I love about them. All of the products (yes even the soy wax candle can be used on skin after its been melted and then cooled slightly) are skin care products because I have to be honest I have slightly neglected my skin over the summer. So this is a bit of an autumn/winter skincare care package and has all sorts of goodies to make your skin feel great again. The first company I would like to introduce you to is Old Faithful Co. They create really lovely unisex products that have been really thought through. The thing I really love about all of the products are the scents. I do like floral scents but often products aimed at women I find too sickly sweet and intense. The Old Faithful Co products have really interesting smells and a lot of them are very earthy and woody and combine incredible quality organic oils. Having chatted to Gareth about his products I can assure you he is so passionate about the quality of the ingredients he uses and goes out of his way to source and find the best. This is so reassuring especially at a time when people including me are becoming so much more aware of what they put on their skin and what ingredients are actually good for us and which are not (except after talking to Gareth I realise I still have so much to learn!). One of their products that I have always wanted to try and have since fallen in love with is the makers balm. I sometimes get really dry and cracked skin on my hands in winter and I am pretty sure that this is going to do wonders in helping with that. The consistency makes it feel really lovely on the skin but it also feels extra healing and moisturising. I had some dry skin on my hand where I had burnt myself and it made it feel better and softer really quickly. I love that it was designed with makers in mind, and was formulated to start off with for a ceramicist who was really struggling with dry skin on her hands. If you work with your hands you are going to love this balm but really it is great for anyone who suffers with dry skin on their hands. Next up we have the Reunion Cleanser. I have been terrible at getting into the habit of using a cleanser in the past but I think this has converted me. I couldn’t believe how good my skin felt after using just once (seriously so silky smooth) and so I am excited to see the effective it has after using it every day for a while. I love the process of massaging the cleanser into my face and then placing a hot flannel on my face to steam it. It really felt so good. As with all the scents from Old Faithful Co it was not too overpowering and smelt earthy and subtle but luxurious at the same time. And finally there is the Hammam Moisturising Serum. I really enjoyed using this. It has a really woody peppery smell which is lovely and unisex (men this one is great to use after shaving). I was worried it would feel too oily on my face but that wasn’t the case at all. The process of gently massaging it into my skin was great and made it feel really soft and supple straight away. It feels really restorative and absorbs quickly so you aren’t left feeling like you have any heavy product on your skin. I am definitely going to start using this as a regular moisturiser for my skin. Now lets move onto The Goodwash Company. These guys are all about luxury products that feel great to use but also that DO good. They are a social enterprise and so 100% of their profit goes towards supporting local projects that improve the lives of people and animals. All of their products are cruelty free and are sourced from the finest natural ingredients. (same with Old Faithful Co). Its so reassuring as we all try and take care of skin but also care for the environment and world that we live in more. This hand wash and lotion both have a beautiful floral smell but that is quite subtle and not too overpowering. They feel really nice and light and refreshing on the skin. As a designer I always care about the packaging too and I really love the simple monochrome labels on these and think they would really add a touch of luxury to your bathroom or kitchen. They both felt really good to use and I like things that make every day tasks like washing your hands feel a little more luxury. Its such a simple little treat for the hands. And finally is this candle. It comes in a beautiful glass jar and then packaged in a really beautiful little bag. All the details have been thought about - even the matches. Mandy who runs The Goodwash Company mentioned that even this candle could be used to moisturise your skin because it is made with 100% natural oils, and I have to be honest I was a little sceptical. but When I first burnt it I though I decided I would give it a go. I blew the candle out, let the wax cool slightly and then just scooped a bit out and rubbed it on my hands and I have to admit I was so pleasantly surprised. I don’t think I would have ever have thought to try this (and I guess probably best not to try with any old candle) but the wax on my hands actually felt incredible - the texture was rich and nourishing and my hands felt amazing and so soft afterwards. It was also a really lovely fresh smell which I enjoyed being able to smell on my hands for hours afterwards! So there you have it - all of the products that you can win in this giveaway. Having met the people who run both of these brands I can’t recommend them both to you enough. They both have gorgeous packaging, incredibly luxury and quality ingredients and are just something a bit different from what you might normally buy. I love that they care about the environment and being cruelty free and using all of their products felt like a little bit of spa luxury at home - and I am definitely going to make sure over Autumn and Winter I take much better care of my skin using these products. If you have any questions about any of them feel free to get in touch and don’t forget to enter the giveaway HERE. I am often not very good at looking back and noticing what I have achieved. I get frustrated at not having done as much as I would have liked, or because I haven't moved forward as fast as I would have liked, but I have been reflecting back over the past year of my business and I am actually really proud of myself and what I have achieved. It isn't anything big or grand - but I actually did get a lot done whilst juggling looking after a small human, moving city, moving house twice and also having surgery. It wasn't the easiest year at all - but I did keep moving forward, and growing my business and as a result I am really excited about what 2018 has in store. Every year I try and share some of my business goals on the blog. You can see last year's here. I am not going to dwell on them to be honest - a few I achieved, and a few became less important and were not priorities. I like to set these goals but I always accept that things change during the year, and sometimes other things become more important to focus on. I have absolutely loved Instagram this year. Algorithm issues aside, I have managed to improve and slowly grow my account. I have started to see real conversion from posting to sales, and enquiries - not huge amounts, but enough for me to fully realise the benefit of Instagram and investing in it as a place to share my work and post about my business. I have also done a couple of sponsored posts, which has been fun and challenging. I actually love working to a brief and spending more time pushing myself and being creative. I have really noticed that the more time I think through and invest in putting my images together the better they do. One of my sponsored posts ended up with the most likes of the year which I thought was interesting. I need to work out a way to carve out more time to really think through my account and what I share, and make sure that each of my images is really good quality. This has been recommended to me by various people and it is something that I really want to get into this year. It's something I have struggled with to be honest but I think it will really help me in terms of producing content consistently for my business. I want to be realistic about how much content that I can produce, but in an ideal word I would love to be posting on Instagram every day, a blog post once a week and a newsletter once a month. I often find that I have good intentions but then life gets in the way (sick child, busy period of client work, lack of motivation etc) and I lose momentum and then find it hard to get back to it again. I am hoping if I start batch creating content, then I will have some of the content scheduled in advance, so if one week I can't spend time on blog posts, it doesn't mean there won't be one the next week. At the end of 2017 I started talking more on Instagram about my logo and branding work for clients (previously I had only really ever talked about my shop) - and I started getting enquiries from my dream sort of clients (small independent businesses or bloggers) which was so exciting. I am starting 2018 working on some lovely projects, and I am hoping that these will lead to finding more of my ideal clients out there. So my goal really is to find more clients to work with, and also to be creative in how I find and approach potential clients. In the next few months I am hoping to update my logo and my website. I have new product photographs for my shop and I feel like I want to refine my style and so it feels like it's time for a refresh of everything. I also want my website to have more information about my logo and branding work and some testimonials of people that I have worked with. Writing these goals out here has got me really excited about the year ahead. I am a bit of a dreamer and an ideas person, so I often have more ideas than I know what to do with so it can be a bit of a challenge to come up with realistic and achievable goals, but I am hoping these will be, and that I can take some big leaps forward with my business in 2018. Through it all though I am going to try and follow the advice of the print above and 'keep it simple'. I want to be clear about my goal and purpose for my business and also make sure that spending time with my son and my family is a priority. I am going to focus on saying no and not yet to more things this year so that things are simple but focused. Have you written out goals for your business this year? I would love to read them! 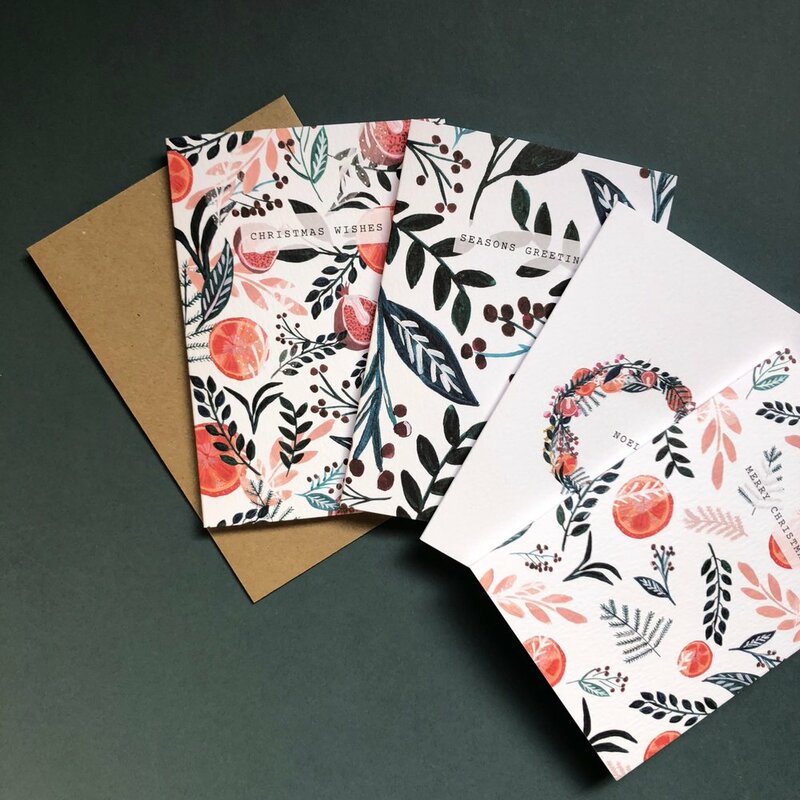 A few weeks ago the lovely Krissie from The Gratitude Attitude sent me one of her lovely journals (we did a little product swap and I sent her some of my thank you cards and other goodies). I have heard lots of people talk about gratitude journalling and how it had helped them - and although I generally try to be as grateful for all the blessings I have as possible, it really is easy in the business of everyday to forget and take things for granted. I started using the journal everyday and writing down the three things I was grateful for. I have never done this before - and I think it definitely makes a difference to have to write them down. It gives you more intention - and for me writing things down always helps me to remember better. Interestingly the first few days I didn't really notice a difference - but I realised I was being too broad and pretty generic and was picking things that were a bit too obvious. I started off with things like being grateful for my family and our new house etc. I soon realised that I needed to get into the real details, like why am I grateful for my family - what are the little particular things that they do that make me feel loved and supported. Why am I grateful for my house. What are the specific things in the house that make my life better and happier and help me. When I started to be grateful for much smaller things that I'd easily took for granted in the past - I started to notice my mindset change, and I think my general attitude improved. I don't have tonnes of free time with looking after a toddler, organising redecorating our house and running a small business, and so what I love about this journal is it doesn't ask much of me. All I need to do is write down 3 things each day I am grateful for, and that takes me less than 5 minutes. When I have a bit more time it's lovely to go through the journal and read the quotes and articles and look at the beautiful artwork - but on the days I am in a rush I can just do the bare minimum. This works really well for me and feels like something that I can actually commit to - and I have on the most part. The other thing I really appreciate in the design is that it is not dated. I have tried other journals in the past that I haven't got on with so well because I just felt so guilty if I missed a day (and then because it had dates there was a blank space) - where as this diary each day is just numbered. If I missed a day (which I did miss one or two) then I just carried on where I left off and it didn't matter. Although I think I am only at the very beginning of my journey of being intentionally grateful and I don't think two weeks is enough to see a big change, I have started to notice my mindset shift slightly. The main thing I have noticed is that because I know each day I will be writing down three things I am grateful for that day, I seem to mull it over in the day. I spend more time in the day thinking of things I am grateful for and not just the few minutes at the end of the day that I write them down. This has definitely made me feel more positive in general and I feel like I am handling things that I find hard on a day to day basis a little bit better. I feel like there is a bit more peace, patience and calmness as I go about my day. Now don't get me wrong...I have a looonnggg way to go - and a lot of room for improvement in all of those areas. But I feel encouraged that I and my husband have noticed the difference in just a few weeks of practising gratitude. I am so excited to fill this journal up over the next year - and to then have it to look back over, almost as a record of the year and I am sure it will give me insight to what has been going on in my life. I hope that this is a new habit that I will continue for ever - and it is made so much easier by having a beautiful journal to do it. Krissie really has done an incredible job with the design. I have to admit that it's perfectly to my taste. All of the details have been considered - from the embossed cloth bound cover, to the bookmark ribbons. The layout is simple and clean and very easy to use but is peppered with interesting and inspiring quotes, essays and beautiful artwork. If you are the remotest bit interested in design and creativity then you will love this journal. As you start to think about the big event coming up in a couple of months, (ahem Christmas) consider The Gratitude Attitude journal as a perfect gift for a friend or family member. It could be someone who is going through a tough time and needs a bit of encouragement - or it could just be someone who appreciates good design and some positive thinking. Thank you Krissie for making something so beautiful and for putting so much positivity out into the world! Do you practice gratitude journalling? I would love to know if it has helped you or how it has changed you! 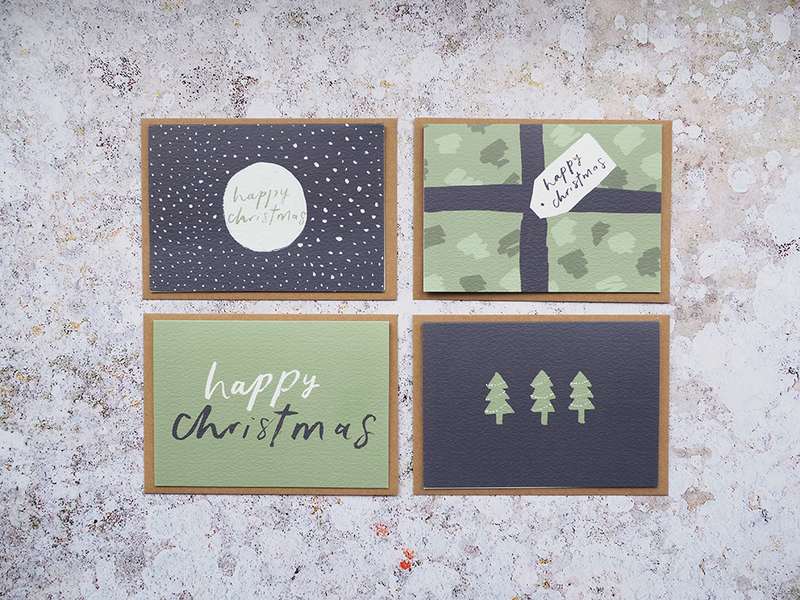 I am so excited to share with you this years Christmas card designs which are now up in the shop. I had such great feedback from people when I shared them on instagram stories, which I really appreciated and it was great to know that people like the designs too. I always find it so weird having to start thinking about Christmas designs so early in the year, but more and more I am learning how important it is to get organised with designing collections in time and especially when you factor in printing and packaging etc. You literally have to get those Christmas tunes playing in the summer months to get everything in place in time! All of the designs were originally created by painting with ink, and then all the elements were scanned in and put together on the computer. The cards are A6 and printed on really beautiful textured card. You can't always see the texture in the images, but trust me it feels so nice and luxurious. They come with kraft envelopes - and each set has 4 designs and in the pack you get 2 of each - so 8 cards in total. The packs of 8 cards cost £10. The first pack above has got a simple green and navy blue colour palette. I like the colour palettes for my card sets to not be too overtly Christmassy but just have a subtle nod to the festive season. The second pack which is a Christian set (each card has a bible verse on the back) has a very typographic design, I decided to go a bit bolder on the colours (but again not too obviously Christmas colours) and I love how the coral red really pops against the rest of the colour palette. It looks almost neon! 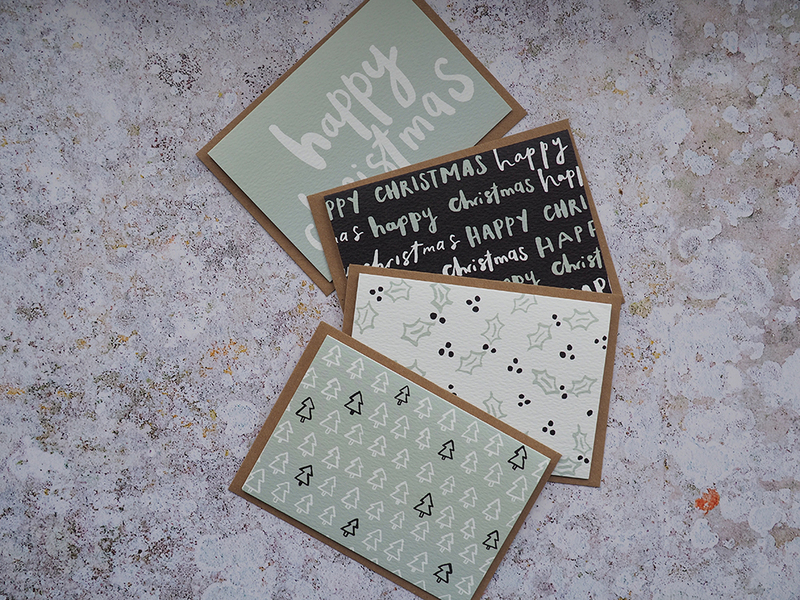 I have also brought back the set of cards that I designed last christmas as they were very popular and I really liked them. Again very minimal and subtle with the colour palette. This set also has matching gift tags available in the shop which is a nice added detail when putting your gifts together. Another two new products that I am really, really excited about are these washi tapes. I have never designed washi tape before, but I have been wanting to for a while and so decided to take the plunge just in time for Christmas. I really love how versatile washi tape is. 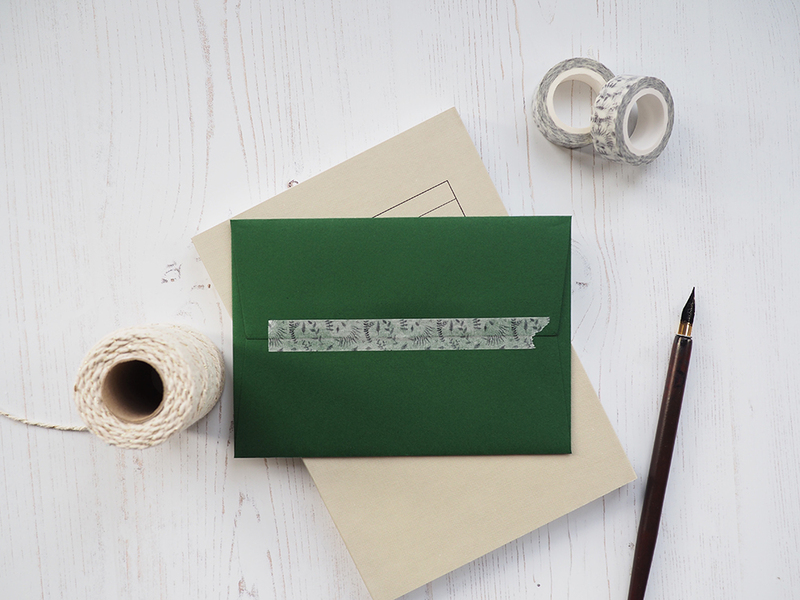 It is great for making envelopes look beautiful, but also for putting prints on the wall, or other DIY projects around the house. I also really like using it with some kraft wrapping paper to make pretty presents for people. I hope you enjoy the new designs. I have a few other things in the works too, so hopefully there will be more products in the shop before Christmas is upon us. Also, if you sign up to the mailing list in the box below, I will be sending out a discount code to subscribers on Friday. So keep your eye out for that email in your inbox and happy shopping. I have been thinking about my blog a bit recently and the sort of things that I want to share - and although my main focus is going to be graphic design and all things creative, I want to share more lifestyle bits and pieces here too, as I want my blog to be about living a creative life not just about the things that I make or that inspire me. One of the things that I feel passionately about, is having a positive impact on the world that I am living in, and sometimes that can be a really hard thing to do. I think I have mentioned it before, but I used to work in a Fair Trade shop and used to give talks in schools and at conferences on the topic. While I was in London I got so distracted by starting my career and relationships and just life in general, that Fair Trade and making good choices while shopping sort of fell off my radar a little bit. Anyway I have started to think a lot more about it - and with minimalism and capsule wardrobes being all the rage at the moment and talked about a lot, it has made me think that I want to be making fewer purchases but maybe paying a bit more money for quality, but also trying to choose brands that are doing good things and having a positive impact. I have been growing my list of ethical brands that I love and support and so I thought I would share them here with you too in a series of blog posts. First up I want to share a bit more with you about Neals Yard Remedies. I have been a big fan of Neals Yard Remedies for about 7 years now - probably since I moved to London and discovered their lovely shop. I have been using their face creams for ages and have a particular favourite that I buy. They last for ages so although it can feel like a lot of money to spend on a face cream, for the amount of time they last me it feels worth it. I was pretty excited when I checked on the good shopping guide and they got a score of 100. That is the perfect score and shows that being ethical and sustainable in all areas really is at the heart of their business. The only issue with them really is the cost - they are quite pricey - but since I am attempting to streamline what I consume that hasn’t put me off. Everything they produce contains the maximum organic content possible, and so you are not getting any of the emulsifiers, surfactants or detergents that you will find in other skin products (and yes I had to google surfactants!) - They believe that organic is better for people but also for the planet. I have definitely realised that there are a lot of products out there that promote themselves as being organic but aren't always as organic as it would first appear and so it definitely pays to read the ingredient list on products you use on your skin. Neals Yard are pretty up front about their products and what is in them. They are aiming for things to be as organic as possible but not everything can be 100% organic because not all products can be based solely on agricultural ingredients. A lot of their extracts are 100% organic though and it is something they are constantly working on. All of their products are free from animal testing, and one thing that I am really pleased about is that they have a packaging strategy. This means that they have plans and aims to make sure their packaging has a minimal impact on the environment. As a designer too I like that despite all that their packaging is still attractive and really good quality. (I am actually planning to save the glass jars the face cream comes in to make my own candles with). A lot of their products are accredited by the soil association. I thought I would share a couple of my favourite products but there are so many more that you can explore. I was given this body butter as a gift and I love how it makes my skin feel. It is quite thick but makes my skin feel really soft and well moisturised. I have mainly been using it on my legs but it is good for all over. It smells amazing and so feels like a very relaxing treat to use. I find with all the products I have used that they go a long way too. You don't need to use much each time and so the pots really last. I started using their shower wash recently and again just really love the smell and how it feels on my skin. It feels nice on my skin and it's something very simple but makes me happy in the mornings. I am pretty sure that I read somewhere that make up wipes are not great for your skin but these ones are full of good things non of the nasties - and I love them for the ease! Perfect for travelling and just getting rid of all the make up and grime at the end of the day. I never really considered Neals Yard for make up and they don't have a huge selection - but I was on the hunt for a new mascara and decided to give this one a go. If you like big dark chunky eyelashes then this is not the mascara for you though. It is really good at elongating the lashes, and it keeps them very separated rather than clumped together. It has a very natural and elegant look which I like. If you don't wear much make up but just wanted to add a touch of mascara to lengthen your lashes then I think this would be a great choice for you. Now this is the sort of product that I would have scoffed at in the past. My face regime was definitely minimal, but I started trying this facial mist out recently and I am actually quite a fan. I am often tired (thanks to a toddler) and sometimes just need a bit of a lift. I have found that a bit of a spritz of this actually helps a bit. 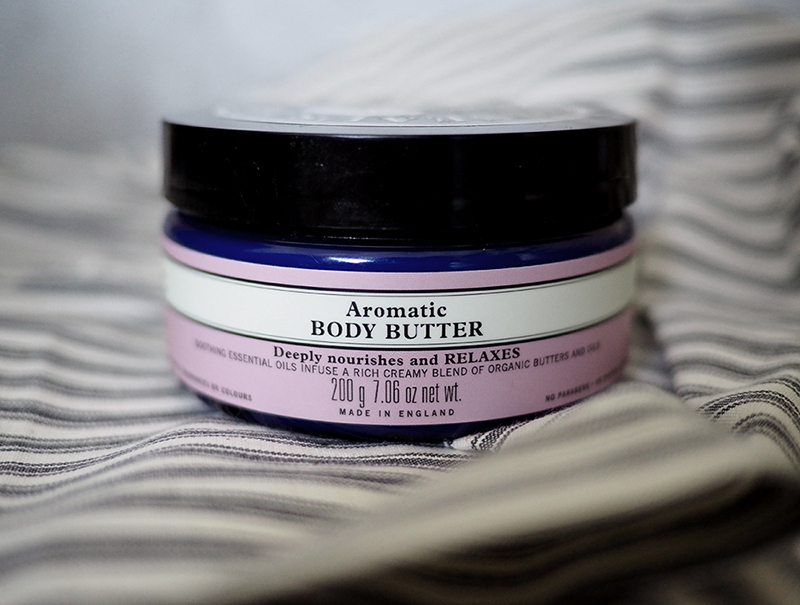 Its a nice refresher and as with all the Neals Yard stuff I have tried it smells so lovely. I would definitely recommend this as a non essential treat item, and would probably be great if you were travelling and your face just needed refreshing every now and then. I have some other Neals Yard products that I am excited to try, and if any of them are really good then I will share them. One that I am really excited about is this diffuser and some of their essential oils. I am hoping they will help me relax better in the evenings and hopefully sleep better too. This post is not at all sponsored by Neals Yard but because I love the brand so much I did sign up a few months ago to be an independent consultant. It means that I have my own shop front with them which I can promote and if you buy from there then I get a percentage of the sale. (All of the product links above go to my shop front). So if you have been thinking about trying any of their stuff then head over to my shop and check it out. You can also get in touch with me directly if there is anything you want to order and I can place the order for you. If you do that I can send little samples of other things for you to try or you can also combine it with an order from my stationery shop to save on shipping. Just let me know! I really do love this brand and so am very happy to shout about them. Keep an eye out for my next ethical brand feature, and if you have any questions about Neals Yard just let me know, I would also love to hear if you already shop with them what your favourite products are? All Messed Up by Anna Gerber is a pretty old book now - but I wanted to share it on the blog as it's one that really influenced me a lot when I was doing my foundation course and my degree. I have always been drawn to design that has started its life with something created by hand - hence my love of handlettering - at art college I would spend so much time making things before actually going near the computer. Don't get me wrong I love clean and beautiful typography too - but getting my hands dirty and experimenting with different techniques will always be my first love - and that is why this book was so important and inspiring for me. One thing in particular that I love about this book is that it shows work where techniques are used that mean 'mistakes' are inevitable. But often these mistakes are what make the work so interesting and beautiful. Old typewriters, letraset, dymo machines, letterpress, screenprinting - these methods of creating type and illustrations are such exciting mediums to work in - partly because you don't know exactly what will come out - the quirks of the machines and the tools have an impact on the final piece. I truly believe that making mistakes is integral and so important for the creative process. It can be something that we are so afraid of, but this book explores and celebrates the beauty of mistakes. We need to learn how to use these mistakes to our advantage as designers and makers. I think it was such an important lesson to learn when I was a student, but I am very aware that it is a lesson I need to relearn now after 10 years as a designer. There really is so much beauty in being brave enough to experiment and embrace making mistakes - because sometimes those mistakes result in your best work - or the project taking an unexpected turn. Sadly the way I work and the way the industry often works these days doesn't allow as much time for experimenting as I would like, and I definitely think that as designers (myself included) we are often to quick to go straight to the computer. Don't get me wrong - computers are wonderful things, and have made the life of a designer so much easier and faster, but along the way I think we have lost something. I would definitely recommend this book if you are a bit tired of looking at your screen and need a bit of inspiration for different techniques and tools to use that might inspire your work to go in a different direction. I think it would be inspiring for designers and artists alike. Its a nice chunky book with lots of pages to drool over and as soon as you start turning them you will want to get busy and get ink all over your hands as quickly as possible! Do you allow time to experiment and make mistakes? Do you use any tools that make mistakes inevitable? Last year I got myself a new camera - and I absolutely love it but I haven't been very good recently at getting out of manual mode and experimenting with it. Improving my photography is definitely high up on my list of things to do in the coming months, both for personal use (photos of my family) - but also for my business and taking shots of products for the shop and blog. A few weeks ago I went for an outing to the National Botanic Garden of Wales, and it's such a beautiful place, I thought it would be ideal for having a play around and getting out of manual mode. The thing in particular that I want to play with was depth of field - you know the classic - thing in the foreground is crisp and everything in the background a beautiful blur. So I dialled down the number on the aperture and away I went. I am really happy with how some of these photos turned out. Especially the purple flowers below with the blurry feet in the background. I definitely still have A LOT of work to do and so much room to improve its ridiculous. One thing I have discovered though is that I really enjoy photographing flowers so wandering around the walled garden while the little monkey below played with his grandma was a treat. To be honest I really love a walled garden. I have visited a few recently and I enjoy seeing the work and creativity that goes into how they are arranged and laid out - and the different features that are used. What do you enjoy taking photos of and do you have any tips for improving your photography? I have had a few instances recently when the ugly green eyed monster has reared its head in the context of Instagram and other people that I follow. I wasn't really doing a great job at thinking about it in a good and healthy way - so I decided to take a minute to write a list of things I could do so I'm ready to nip it in the bud next time it happens. I thought I would share it here as I am sure I am not the only one who struggles with this some times. Sometimes just removing yourself from the situation that is making you jealous helps. Just stop scrolling and feeding the green eyed monster - take a break, go and read a book or cook some yummy food - make something with your hands or play with your kids. Just get away and do something that doesn't involve looking at your phone. Scrolling Instagram can seriously be addictive, and although on the whole I love the app - time away is important for my happiness and well-being. Sometimes when I watch other people’s stories and look at their pictures and see all the fun things they are up to (bringing on feelings jealous or FOMO), I forget that some people might look at my stories and pictures and feel the same. People get jealous about different things and maybe there are aspects of my life that other people wish they had. So what I try and do is mentally or physically make a list of all the really good things in my life that I am grateful for. When I take the time to do this I can actually come up with lots of things. I don’t do this, or share my life hoping to make others jealous, but making a list and reminding myself makes me feel so grateful for what I do have, and not take any of it for granted. I am so so quick to look at others people’s lives and just assume that they are perfect. No problems, no money worries, no arguments, no heath issues. Every person that I have thought that about and then got to know, has had plenty of things that they are struggling with and working through, that you would never know from the outside looking in. I keep trying to remind myself about this when looking at Instagram. Not at all in a ‘wishing bad things on people’ sort of way, but just in a real life way. My life isn’t perfect - I argue with my husband, get frustrated with my kid, worry about all sorts of things, have health problems, struggle with some of my relationships - seriously why do I forget that everyone else is the same. Their struggles might not be the same as mine, but they will definitely have them. Sometimes people do share them online, and it's a bit of a wake up call for me. Anyway, I am going to try and remember this, but also use it to spur me on to be kind and loving to everyone online and offline, because you never know what really difficult thing they might be tackling that day. When I start to compare and get jealous of other people’s businesses or how much further ahead they are than me, I find having a think about something that I can do that takes me a step closer to my goal helps me feel inspired and motivated for my journey, instead of fixating on theirs. It could be sending an email I am scared to send about collaborating with someone, or designing a new product for my shop, maybe sharing something I have been working on for Instagram - Or even just going back to basics and designing something new. There are so many small positive steps you can be taking to move forward even if you can’t always move as fast as you would like. Sometimes it can feel like there is just too much going on online and it feels like you have nothing to offer. I actually feel like this a lot of the time. So many people are already doing what I want to do and doing it so much better - why should I bother. BUT there is a place for me. There is space for everyone and it is just about finding your group of people, who enjoy what you do and want to know more about you. You always have some insight to offer that no one else can - well not quite in the same way anyway. It could be your personal experience, how you live your life, what you believe in, the work you create, how you create it. There are always people who are going to be interested in other people's lives. I think that is why Instagram is so popular. Instead of soap operas we now like to follow along with other peoples lives and journeys. I love it when people share stories about things that are personal to them, that they have learnt or experienced. I generally find people really interesting though and love learning about people who are totally different from me. Sometimes when you are feeling dissatisfied and wishing your life was different and maybe more like someone else's it can be pretty easy to spiral. One way of getting yourself out of that is to try and be outward looking. Think of someone you know who is going through a bit of a tough time, or is struggling - or if you can’t think of anyone just one of your friends online or offline who you can support and encourage in what they are doing. A random note from someone out of the blue telling you they are thinking of you and they think you are doing a great job and keep going can totally change someone's day, maybe even their week or month! I really think there is so much strength and power in supporting and encouraging each other. It is way better to be working together than competing with each other. Sometimes none of these things will help and the jealousy is just really getting you down. At this point I would say it's time to seriously consider unfollowing that person. Not because you don’t like them or want to be mean - but sometimes you just have to do it to protect yourself, for your own well-being and mental health. Another thing is that if it's someone’s Instagram stories that are bothering you, you can mute those without unfollowing the person. Even something as simple as that might make all the difference. Is this something you ever struggle with? If so what do you do to combat it? I would love to hear anymore ideas of things I could try. Over the last few months and even the last year, working out how to continue my graphic design work whilst being a mum has been a tricky challenge and quite a learning curve. I know there are lots of other mums out there who are running a business whilst raising kids and trying to get the balance right and are always doing the juggle. Frankly I am in awe of them all! I want to share a bit of my experience so far in case it's helpful to others in the same boat and so I am starting a little blog series called 'Tips for freelancing mums'. There will be five posts which I will publish once a month and I will share some of what I have learnt so far (pretty sure there is still so much to learn!). So let's dive into the first post. As you can see from the title it is about keeping expectations low, and although that sounds negative I don’t think it is - it's one of the most helpful lessons I have learnt, and am still having to learn since becoming a mother. Pre having a baby I was in control of my days and how things panned out. Yes, someone or something might throw the odd curve ball into the mix which meant things didn’t go to plan, but usually I could plan out my days and they were fairly predictable. I knew how much time I had to get things done and I could make plans accordingly. When you have a baby it is a whole different story. When you wake up in the morning you have no idea how your day is going to pan out. Yes you can make plans to do things - but that doesn’t mean your little human is going to be on board with those plans. He/she might have other ideas. Also, just when you think you have got the hang of a routine he/she seems to have fallen into (this usually lasts for about 2 weeks) they have a growth spurt or something happens and it all changes again! I guess napping is a big area that has been a struggle for me, since realistically that is the time when I get to work on my business. When he was younger and not moving around, if he was chilled and happy I could maybe get some stuff done while he was awake, but now that he is moving and so engaged with the world around him that is impossible. So yeah, nap times are a big deal to me. Reuben hasn’t always been a good napper, but I guess things change as they get older. When he was younger (maybe 4-7 months) he would only do half an hour naps which I found so frustrating, because it wasn’t really long enough to get your teeth into anything, by the time you have rushed round the house tidying things up, made yourself a drink, sat on the sofa for a few minutes to relax - that was it, the nap was over! So annoying. Every now and then he would do a longer hour nap or maybe even longer and that would be amazing, but could sometimes also be frustrating because I assumed it was going to be 30 minutes and so hadn’t necessarily planned to use my time very well or effectively. As he got older though he did start to do more regular, longer naps. For a couple of weeks (it was a dream!) he was doing two naps of an hour and a half each, everyday and I was able to get a lot done. Recently he has been in the process of dropping down to one nap and seems to be starting to do one longer nap in the middle of the day. What I have started to do is to break up my work into very small tasks. Things that can be done in 15-20 minute amounts of time. It is a different way of working for sure, but it means that if he wakes up after half an hour, hopefully I have crossed off one thing from my list and although it's frustrating it feels like I am moving forward. If he wakes up after 2 hours, well then I have enough time to get 4 things done on my list with a bit of time for tidying, snacking and instagram scrolling too. I have realised for me that the battle is a mental one - and this is why I called this post 'keeping expectations low'. On the days when I had a long list of things to get done, and I only managed to get one done - I would feel disheartened, frustrated, annoyed that I didn't have more time to spend on my business - instead of enjoying the precious time I was having with my baby. On the days that I had in my head just one small thing to get done (but a back up of other things to do if I found that I did have time) then I would feel more content. I moved forward with my business, I took a small step in the right direction - yes it wasn't moving forward at the speed I hoped but at least it was in the right direction. And sometimes it's just a case of letting go and living in the moment. I really wanted to make sure I enjoyed the time I had with Reuben as I knew it would go quickly and that I would never have this time with him again. I definitely didn't get this right all the time, but there were plenty of days with him asleep on me on the sofa where I did nothing but lie there and soak it all in. One last thing to say, please don't put too much pressure on yourself especially in the early days. In the early days I definitely aimed for a no pressure approached and just did bits of work on my shop here and there because I enjoyed it, and found it nice to have something non-baby related to think about. It was only when Reuben got to about 9 or 10 months that I started thinking about taking on clients again. I hope you have found this helpful. Everyone's experiences and journeys are different and I would love to know how you have found juggling motherhood and freelance, and if you have any questions or any topics that you would like me to cover in future posts just let me know! 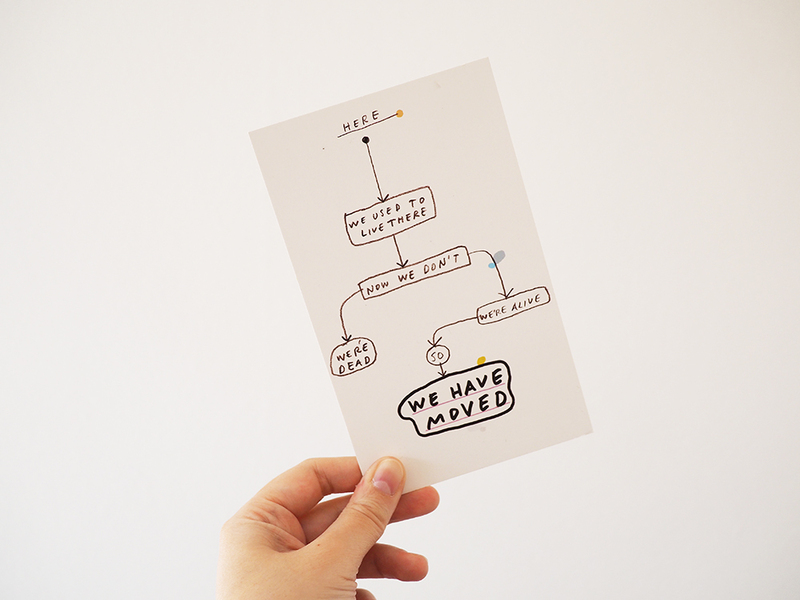 Just popping in briefly today to let you know that the shop is open again for all your greetings cards, prints and enamel pin needs (haha well maybe not all of them, lets not carried away now). I have lots of ideas up my sleeve for new products and a bit of a redesign of the shop and website, and I will slowly be working on those in every nap time available over the next couple of months, but I thought I might as well get the shop up and running and then I can add and change as I go along. If you sign up to my newsletter which is going out tomorrow there is a 25% discount code to spend in the shop - a big thank you for those of you who have signed up already and are following along and getting up to date news, discount codes and freebies etc. I have really felt so blessed because of all the support of my small business this past year - it has started to grow in exciting ways and I have really enjoyed working on it. If you do want the discount that I mentioned above I have made it super easy and have inserted the sign up box below so that it is easy peasy! As we approach Reuben’s 10 month birthday and he has been out in the world longer than he was inside cooking, I feel like I am very tentatively coming out of the first baby fog and am slowly starting to think about work and how things are going to look like juggling motherhood and working. I tried to keep up a little bit of work since he was born. I only did things that didn’t involve a client or a deadline so that I didn’t feel any pressure and could work on things at my own pace (i.e. when R treated me with a good long nap). The perfect low pressure thing for me to keep going was my shop. If I managed to get a new product up that was great but if I didn’t no one would mind. Posting orders was totally manageable and a trip to the post office was a perfect outing for me and Reuben. I actually found doing a bit of work that connected me to my pre-baby self really helped me. Just having a little something creative to think about that wasn't baby related kept me sane in those first few months I think. Since we moved to Cardiff I had to hand in my notice at the job I was doing before R came along. I was so sad to say goodbye to my lovely colleagues and I am going to miss them so much, but I am excited that I am going to get a chance to do more freelance work. So I will be working on freelance work, my blog and shop 2 days a week (which will feel like such a luxury I imagine) and then I will look after R the rest of the time - squeezing a bit of work into the odd nap time I am sure. I am tentatively taking on a few small freelance design projects already - ones that I am confident that I can get done during evenings and weekends - but going forward I think there is going to be a bit of trial and error in terms of working out how much I can fit into my two freelance days. I will write another post soon with a bit more information about what sort of design services I will be offering and how we could work together. But until then if you have a project that you need a graphic designer for, feel free to get in touch and I can give you a quote and let you know my availability! A couple of weeks before we left London for Cardiff we decided to get some family photos taken by Siobhan and I can't tell you how happy I am that we did it. I think I had always been put off from doing it in the past because in my head It always felt like quite a lot of money to spend and I didn't feel like I could really justify it. Siobhan and I actually did a skills swap for this photoshoot so although no money changed hands - having now done the photoshoot I have definitely come around to thinking that it is worth the money! Since Reuben was born we have taken absolutely hundreds and probably thousands of photographs - but so many of them are quickly snapped on a phone and not great quality and also as one of us is usually taking the photo of the other with Reuben or Reuben on his own, there are actually not many photos of the three of us. We decided to do the session in Battersea Park, as it is a park that has a lot of memories for us, from before Reuben was born, but also I spent a lot of time there with him last summer when he was a newborn. It was also where we went for our first outing with Reuben after we got home from the hospital. It is totally one of my favourite parks in London. We did the shoot at 10am on a Monday morning and the sun was shining so brightly! It was actually not great light for a photographer but Siobhan did such a great job. I really love the photos with the dappled light streaming in through the tree and bushes. To be totally honest neither Neil or I are naturals in front of the camera and I don't really love having my photo taken but Siobhan did such a great job of chatting to us and making us feel totally at ease - she gave us some directions to get in certain positions or look a certain way, but mostly we just hung out and played with Reuben and she just snapped away. A few weeks after the shoot Siobhan sent us about 80 images that she had edited and it was seriously so hard to choose which ones to share in this blog post. But I got there eventually. These are definitely some of my favourites and they just make me so happy looking at them. Memories of a wonderful morning, but also my two favourite humans who I love living life with. This last photo is my absolute favourite. I just love the look on both of their faces but particularly love how Reuben is looking over the Thames. I feel like now we have left London these photos from one of our last weeks there are even more precious and as soon as we have a new house sorted I will be getting this one, and some of the others printed to go on our wall for sure. If you have ever thought about getting someone to take photos of your family, I can't recommended it enough, and obviously I think Siobhan is awesome so if you are in London you should totally hire her! She has just launched her new website which showcases more of her work and you can see some of the other beautiful family shoots that she has done. Also, something that Siobhan is now offering which sounds amazing, are various mentoring packages. There are a few different packages which would be ideal if you need someone you to help and support you with your photography or creative business. You could also go on one of her wildness tonic photo walks which sound so much fun! I am just gutted she didn't start them before I left! Anyway, I will leave you to go and explore her site and all the cool things she is offering. An illustrator based in Eindhoven, Lieke van der Vorst has to be one of my all time favourite illustrators. I absolutely love all of her work and can get lost in her instagram and website getting inspired (and maybe feeling insanely jealous - but I try and keep that in check!) for so long. I really love the colour palettes she uses in her work and also the texture of her pen/pencil strokes. She has a really distinct style. I don't know why but I am always in awe of people who have a really clear style - maybe because I feel like I am never happy with mine or clear what mine is in my design work. I also like how she combines human and animal characters in her pieces - it adds an element of fun and whimsy to the situations depicted. I want to have tea and cake in a rowing boat with a friendly bear! She also has a shop where she sell prints, originals, postcards etc. There are lots of goodies in there and now I will have to have to start saving! I need to have her artwork on my walls! Anyway I really hope you enjoy exploring her work some more and getting lost in the beautiful worlds that she creates. Have a lovely and inspiring week!